Undo (Ctrl +Z): Press Ctrl+Z until you've fixed your mistake. Repart (Ctrl + Y): To redo something you've undone, press Ctrl+Y. Cut (Ctrl + X): This option is used to cut the selected information. Copy (Ctrl + C): This option is used to copy the selected information. 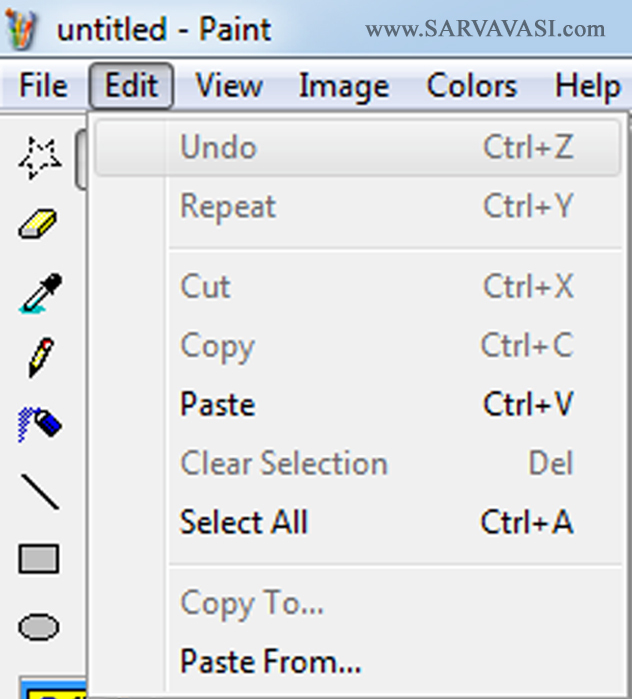 Paste (Ctrl + V): This option is used to paste the cut information (or) Copied information at specified position. Clear Selection (Del): This option is used to clear or delete the selected paint. 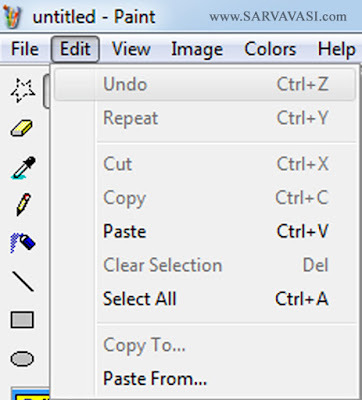 Select All (Ctrl+A): This option is used to select all the paint of the file. Copy to: This option is used to copy the selected paint into another file. Paste From: This option is used to Paste the other paint files.